As always we enjoyed the evening we had at Cooper’s Hawk. Great atmosphere for conversation and wonderful food. I would like to give a call out to Justin our waiter that, excellent man with great personality and always seemed to know a head of time when we would need something. Thank you. Making a reservation did not mean anything to Cooper's hawk. We made reservations for 6:45. I checked in at 6:40. People came in after us without reservations and were sat before us. It was not until after 7pm that we were called to have a table. A hostess came up to us prior to sitting us and called us by the wrong last name and then went on to find the correct couple. The crab cakes were horrible. They were out of the wine we requested. Everything was great -great food and service!!!!!!! Arrived 30 minutes prior to reservation so we used the time do a wine sampling. The employee was most helpful and provided great recommendations and exhibited a decent level of knowledge. I always feel that the tables for 2 is quite small, it is hard to order appetizers, have pretzel bread and a bottle of wine at the table at once because there isn’t enough room. Our server was great and even though for w an item or two he quickly corrected it and his timing was great. 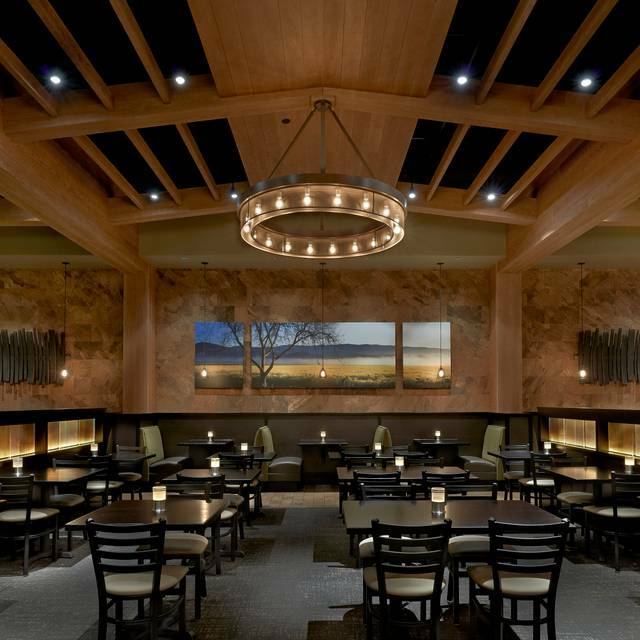 In general we really enjoy dining at Cooper's Hawk. We live an hour away so we normally visit on special occasions so we come in feeling good about being there. That being said, the food and wine are virtually always very well prepared and tasty. The serving staff are very interested in your having a very good experience. If memory serves, they have changed over time and don't have a bus staff to clear the tables during the stages of the meals and at meal end. To me, this has been an improvement as one has more opportunity to communicate regarding the servings etc. The "wait staff" may not enjoy this as it keeps them busier but I end up giving somewhat larger tips and the dining experience somehow feels more personal and focused on the quality of the dining experience. We belong to the wine club and they allow us to "use" one of our purchased bottles for serving during the meal. I value this capability they offer. It allows me to treat guests to some wine ( if everyone enjoys the same vintage). I wouldn't normally do that at glass prices given our budget. It also keeps me in the wine club and returning and getting their truffle (light) deserts. Their menu is rather expansive and I appreciate the lite calorie section. All in all a well thought out set of offerings and wait staff that are interested in your having a good experience. It was my dad’s 85th b’day we were celebrating. In the comments section when making a reservation I had asked if they had a b’day dessert they could do for him. When we were seated our server came to the table with b’day greetings. It was wonderful. He said he wouldn’t sing - that was his gift to my dad but that they’d be bringing out a wine barrel soon for him to walk around the restaurant on. Great humor, great appreciation for his attention to my dad. 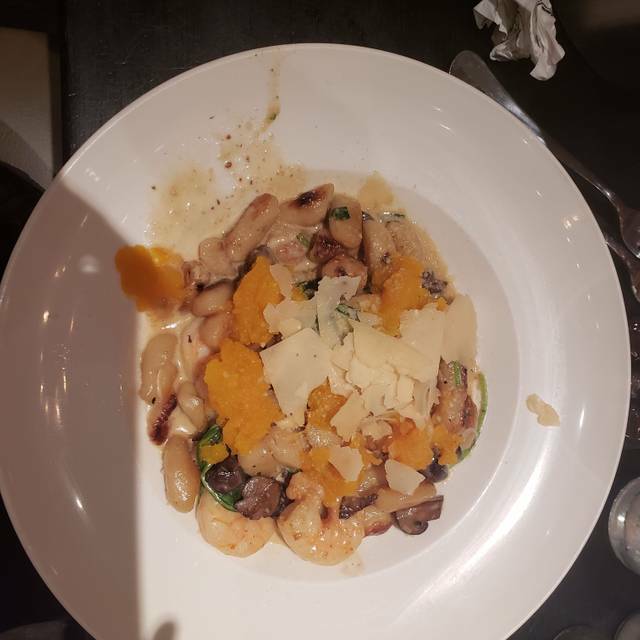 It took us awhile to decide on our dinner choices - being parents they were wanting to get something as inexpensive as possible so it took awhile to go through the menu - and conversation kept interrupting the business at hand - however our server was SO GRACIOUS!! We all really enjoyed our meals that we shared amongst us so now we all have new favs!! The chocolate covered strawberry and truffle for his b’day dessert (and the candle in the whipped cream was an excellent touch) were divine -his 2 favorite things and just the perfect portion since he enjoyed his entire meal! What a wonderful experience, a wonderful server, wonderful food and wonderful memories!! Thank you so much for a great dining experience and I know we’ll all be back again - and won’t wait for a special occasion to do so! Hats off to ALL your staff but your frontline folks are great!!! Thank you!!! 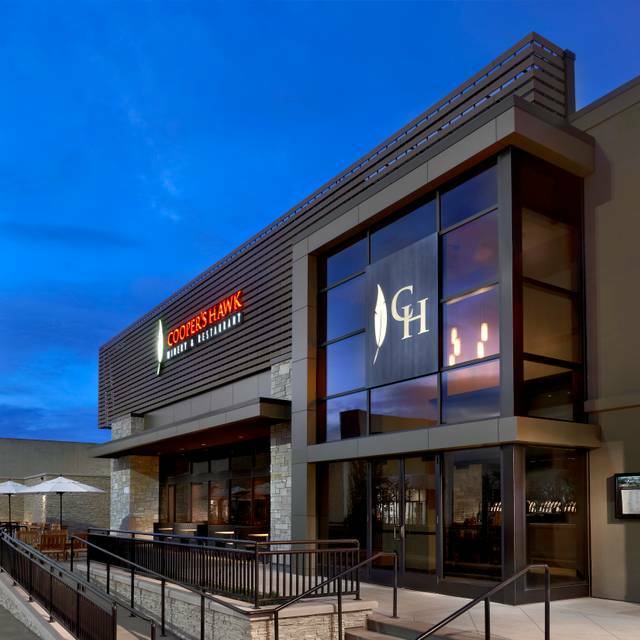 The last two times we ate at Coopers Hawk SPI (once at lunch and once at dinner) some of the wait staff was weird and needs better training. The ladies at reception and those who waited on our tables were awesome. However, some of the other wait staff had varying quirks, annoying to the clients. One waitress dropped a knife and instead of picking it up (there were plenty of tables to place her dirty dishes) kicked the knife down the aisle to the back of the restaurant, about 20 feet. Another time a waiter passed us by several times and grunted in disgust whenever he approached one of his tables. Another time a manager was talking very loudly on his bluetooth as he walked among the aisles assessing availability, and stopped in front of tables and kept talking thru bluetooth very loud. Had any of these occurrences happened once, OK, its a bad day, forgiven! But so many occurrences.... this seems to be a lack of training, common sense, and courtesy. Despite arranging a reservation only that morning, we secured very nice seating for our meal. Our waiter was attentive and considerate, especially as my wife had questions about the wine menu. The food was excellent, though the portions were a bit small. Overall, though, it was a great meal and we had a fantastic time. 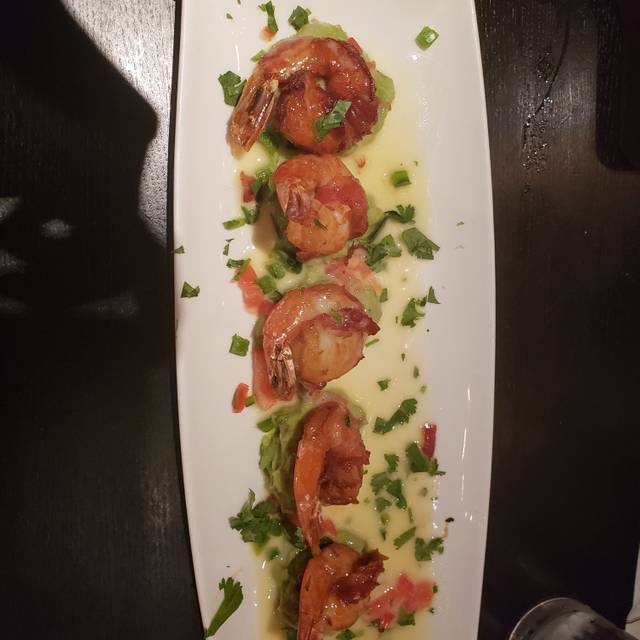 Food was great as usual, service was inattentive and rushed. 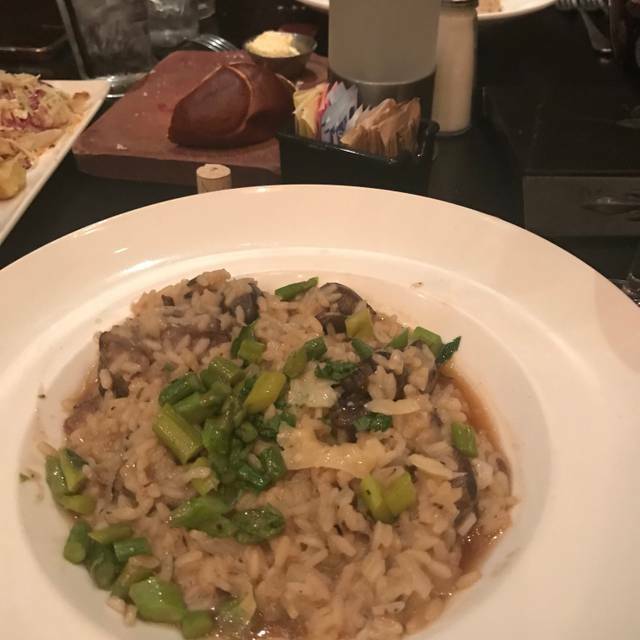 Food was wonderful and the staff was pleasant, just like always! My one and only complaint about CH is that it can a lot of times get pretty loud and it’s hard to hear the person you’re sitting with. Other than that it’s one of my favorite places in town. We had a wonderful time. Our server was new, but she did a great job. My only complaint was she didn’t refill our wine glasses with our bottle the table and we needed to ask for water. Other than that it was great! Food was fantastic; service was outstanding!! The service, food, and presentation were excellent! We enjoy Cooper's Hawk. The staff are all pleasant and helpful. The food is always fantastic and the wine is great!!! Great atmosphere and fun environment. Staff is friendly and welcoming to customers. Food was hot and drinks were amazing! 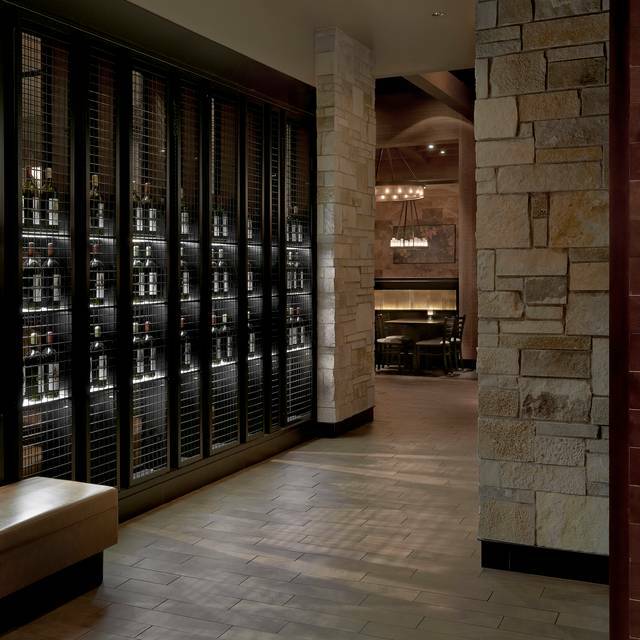 I love the wine tasting and enjoying an evening out with friends at Cooper's Hawk. We'll be back! The food (and wine!) were wonderful. The place was packed but we were seated immediately as we had previously made a reservation. Our waitress, Carrie, was fast, friendly, and made sure we had everything we needed at all times. One of my guests made a reservation for the following weekend before we left the restaurant. Amazing food and service!! Great place for retirement celebration. The best gluten free menu I’ve seen. Food was delicious! This is for a VERY important 74th bfay party. PLESSE something close to a wall. Not in the middle of the restaurant. Thanks!!!!! Happy to pay extra!!!!! Very good experience and good food. Planning to return soon! 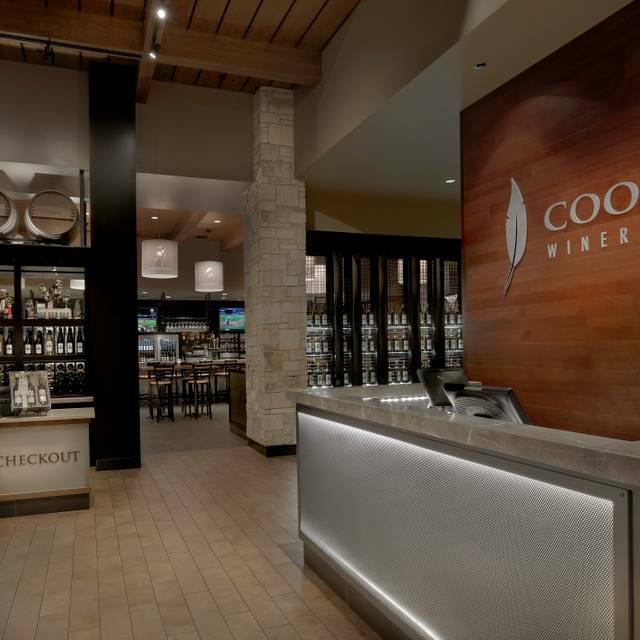 We love Coopers Hawk Restaurant and Winery. There are so many choices of food and wines. We always have a hard time choosing. I need gluten free meals and the menu is extensive. The service is the best and always knowledgeable and extremely courteous. My niece and I both love eating at Cooper's Hawk! I'm a wine club member so already having paid for the wine was nice. I had the crab cakes and my.niece had the Parmesan encrusted chicken- the cakes were not overly breaded- very good. I'm not a wine officianado- I drink what I like, and your Pinot noir was excellent. A wonderful experience as always! Oh and the brussel sprouts Appetizer- yum! We had a wonderful dining experience as always. We really look forward to our next visit. Also love your gift selections! 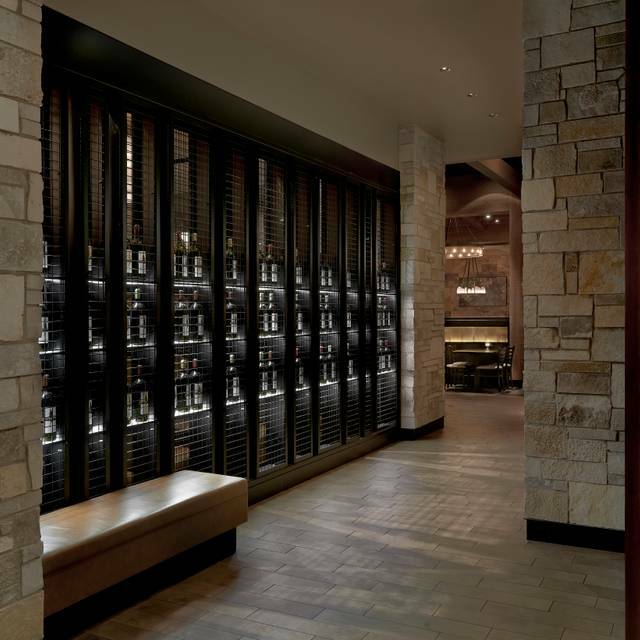 We love Coopers Hawk for our monthly mother-daughter day. We’ve never found any food we don’t like and the wine is great!! Food was not as good as usual and the server (one person) was not our favorite. However we know everyone has a bad night so chalking this one up as a hiccup. 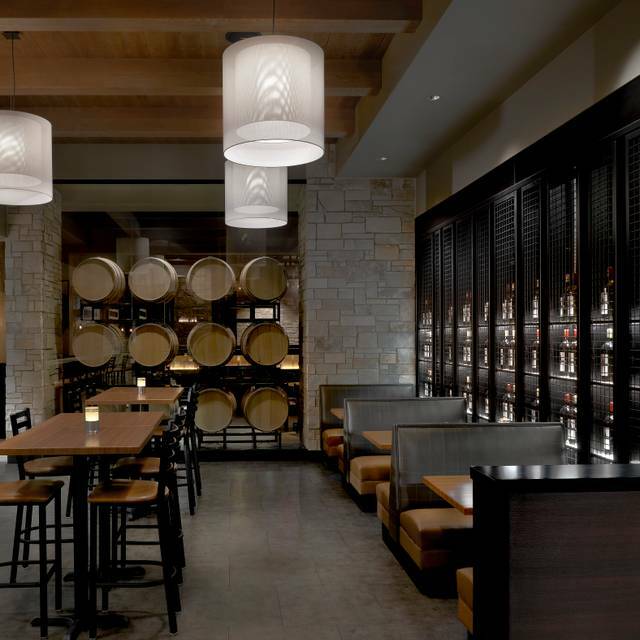 Had a wonderful meal at Coopers Hawk!! Rob - our waiter was outstanding!! Requested a round table and were given one. We enjoy the round tables, as it is easier for a group to converse with each other. Excellent service, delicious food, great wine, and a beautiful setting. Great food and service! Love the wine and the wine club too! We took family an friends for lunch after church. Nice! We celebrated our sons birthday here and service was fantastic! Joshua is a great server. Ambiance would have scored higher except the fire alarm was going off for about 10 minutes of our dining. The employees said it was a false alarm, which it proved to be. Great service wonderful food!! Perfect place for a date night!! Great staff, food and service. Never had a bad experience. Waitress was pushy about some prize she was trying to win. Food was good but not great. Always enjoy Cooper's Hawk although this was not our best visit. Party of nine jammed around a round table near the bar and it was very noisy. Hard to have a conversation across the table. Pork chop and vegetables were not up to par on this visit. No matter, it happens sometimes. We'll be back!